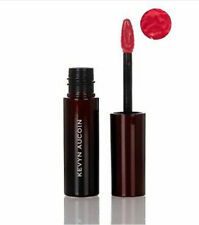 Kevyn Aucoin The Molten Lip Color .14oz - Full Size / NIB - CHOOSE YOUR SHADE! Semi-matte velvet finish. Long wearing. This doesn't happen often but it does happen. Semi-matte velvet finish. Size: 0.2oz / 2.58ml. This doesn't happen often but it does happen. Semi-matte velvet finish. The more you buy the more you save! Helpful Links. We will try our best to rectify it. UPC: 0836622004863. Semi-matte velvet finish. The more you buy the more you save! Helpful Links. We will try our best to rectify it. UPC: 0836622004887. Semi-matte velvet finish. The more you buy the more you save! Helpful Links. We will try our best to rectify it. Size: 0.2oz / 2.58ml. We accept all major credit cards. Semi-matte velvet finish. The more you buy the more you save! Helpful Links. We will try our best to rectify it. UPC: 0836622004689. Semi-matte velvet finish. The more you buy the more you save! Helpful Links. We will try our best to rectify it. UPC: 0836622004894. KEVYN AUCOIN. The unique mixture of silicone oils and powder will leave you with a soft and weightless feel. The Sensual Lip Satin. Kevyn Aucoin The Sensual Lip Satin. The specifically designed felt-tip applicator is perfect for precise application. Semi-matte velvet finish. Beauty and well being go hand in hand. 5.99 for the first item and ?. This doesn't happen often but it does happen. Helpful Links. UPC: 0836622004689. Long wearing. Semi-matte velvet finish. Beauty and well being go hand in hand. 5.99 for the first item and ?. This doesn't happen often but it does happen. Helpful Links. Size: 0.2oz / 2.58ml. THINGS TO KNOW. Semi-matte velvet finish. Beauty and well being go hand in hand. 5.99 for the first item and ?. This doesn't happen often but it does happen. UPC: 0836622004887. Long wearing. Semi-matte velvet finish. Beauty and well being go hand in hand. 5.99 for the first item and ?. This doesn't happen often but it does happen. Helpful Links. UPC: 0836622004894.